Home Parenting Support What Is Pre-baby Counseling? There is no indignity in admitting that parenting is a tough job; probably the toughest job that most of us will ever do. As such, parenting can be stressful and it can put pressure on a relationship. In fact many studies have been able to demonstrate that having a baby can put pressure on a relationship straining and weakening marital bonds rather than cementing them as was believed traditionally. It may start with something as simple as whose turn it is to change the diaper this time; or whose turn it is to wake up in the night this time. 1.So many responsibilities and chores increase after the arrival of a baby that this is bound to cause irritation and lack of patience with one’s spouse. 2.Babies can be a considerable expense and can put pressure on a household budget leading to further conflict. 3.With a new baby around who demands a lot of time and attention of the parents, there is less time for adult conversation, for intimacy and emotional engagement between the parents. In the event there may be a lack of communication, and emotional distance can develop. 4.For women the perception of change in the relationship may be particularly quick and dramatic. The hormonal changes she experiences after child birth, the physical stress of recovering from it, the added pressure of breast feeding and staying home with the new born can all be a little overwhelming. For this reason, couples are now considering couples therapy before the arrival of a child, according to this Wall Street Journal Blog article a sort of preemptive strike against possible problems in the future that could threaten an otherwise secure relationship. Mental health professionals and experts are of the view that pre-baby counseling could help couples sort out issues such as dividing up of responsibilities and chores. Even midwives, hospitals and doulas now offer, along with their childbirth expertise, the added benefit of teaching relationship skills to expectant or new mommies and daddies. Many parents find that pre-baby counseling is a good idea; a valuable precaution to take. If you have strong and wonderful relationship, surely the counseling is worth the effort? 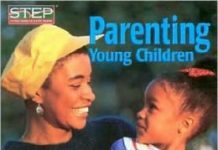 What Is STEP or Systematic Training for Effective Parenting? Parenting Classes? What Can They Teach?